The Pheobe 1-Light Wall Sconce shines with its simple design and clean lines giving off a Modern feel to your home. It's stunning chrome finish and frosted Bubble Glass shade are a perfect pair and its small size allows use in many locations. 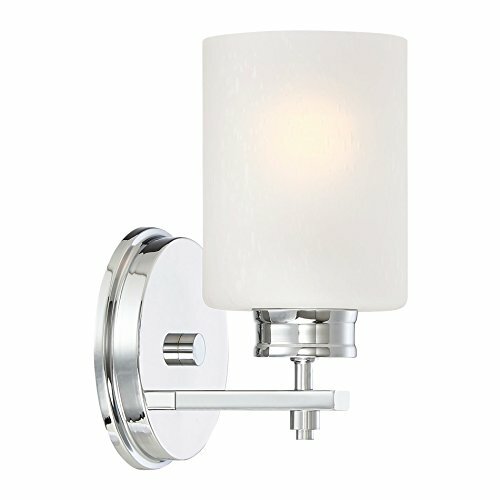 With the ability to hang up or down and be used as a direct and indirect light source, the Pheobe wall light remains an eye-catching fixture in any bathroom, vanity or powder room.